If you are what you eat, do you know what food you would be? I do. I’m a Luna bar. I’ve had Luna for breakfast with my coffee almost every day for well over a decade. I always keep one handy in my pocketbook, so if I get stuck anywhere, I always have a healthy alternative to the drive-thru window. I knew I was a super fan, but even I was surprised when I Googled my name once and clicked on images, and pictures of Luna Bars showed up! 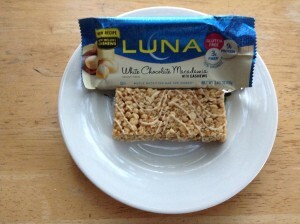 I posted this fun fact on Luna’s Facebook page, and it led to my weight loss and fitness success story being featured on their website: http://www.lunabar.com/luna-life/charlenes-fitness-journey Some of my friends call me a walking Luna billboard, as I seem to tell everyone about them. This isn’t a trait limited to Luna Bars, when I love, or worse dislike, a product, you can count on me to tell people. I’ve suggested Luna Bars to friends, family, kids in my carpool that didn’t want to eat breakfast, and when I’m stocking up at Target, I will invariably end up talking to whoever’s in the protein bar aisle with me if I see them reaching for a different brand. I almost always get questioned by the check out cashier because I buy so many, and they will ask if the bars are good. I would think the shear volume of my purchase alone would answer that question, but I’m happy to share my Luna love. Here’s some quirky facts about my love of Luna: 1. I like my bars chilled whenever possible; 2. I tend to have one favorite flavor at a time; 3. I look forward to it every morning; 4. I’m always sad when I have the last bite; and 5. Certain flavors are in the breakfast category, while others are a go to snack choice for me. 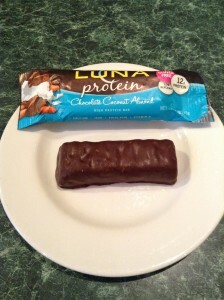 I also got to try a nice variety of the Luna Protein Bars and they were also a hit! I definitely preferred the protein bars as a snack, as opposed to my breakfast bar, but really enjoyed the Chocolate Salted Caramel, the Chocolate Coconut Almond and Chocolate Peanut Butter Protein varieties most of all! Over the years, I’ve tried all kinds of bars, but Luna are by far my favorite. I’ve had great success with incorporating Luna into my daily routine, and felt they were a large part of my losing ninety-six pounds. For 180 calories, I find them filling and delicious. 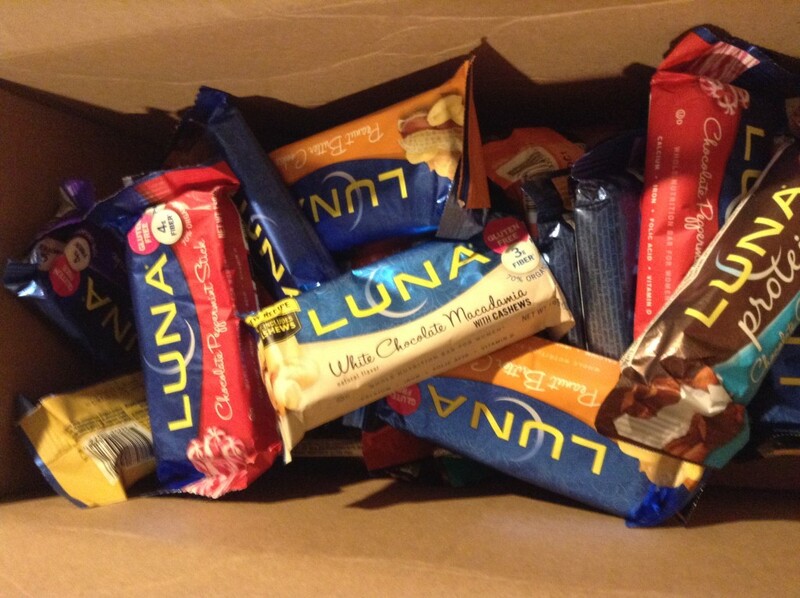 Who knows, as I really am a walking Luna billboard, maybe one day, if you Google Luna Bars, my picture will come up! You’re half way there, because I believe if you google you, a picture of Luna bars appears. Great review! I love the choc dipped coconut and am now looking forward to trying others. I love that Luna bars are small! Carbs and I spend way too much time together, so the smaller serving size makes it easier to enjoy without going overboard. I LOVE the lemon!! I also love the bite size versions they carry at my local Target…those are great on-the-go snacks and perfect for my kiddos lunches 🙂 Thanks for the review, there are a few flavors in there that I haven’t tried but will now!